Text description of breast implant picture. 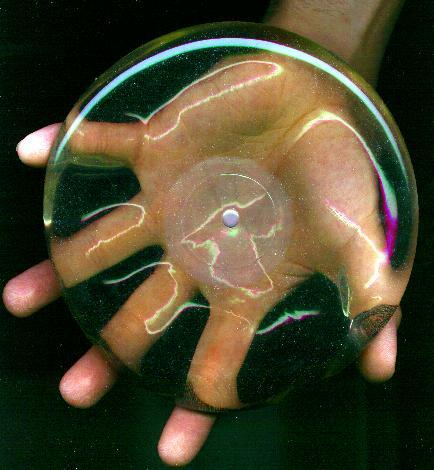 This picture shows a silicone breast implant. The breast implant is circular and transparent. A man’s hand with fingers spread wide apart is supporting the implant. Due to it’s clarity, the implant appears as if it could be made from glass or solid clear plastic.